When it comes to emerging technologies gaining a foothold, virtual reality is one of the more interesting ones. Take a look around and it seems that its ubiquity grows by the day. From training sales associates to dealing with throngs of overzealous shoppers on Black Fridays, to training combat pilots to operate in intense environments at 50,000 feet (15.24km), VR is now being utilised for an array of use cases. 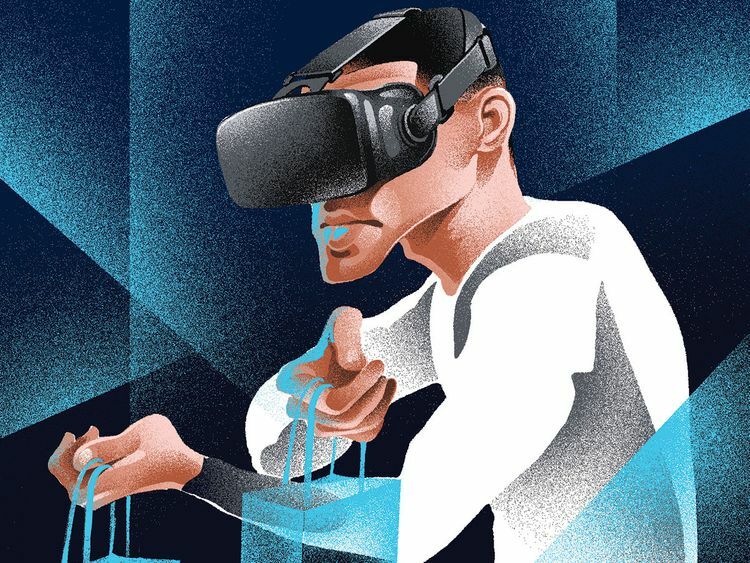 A plethora of devices, such as the HTC Vive, PlayStation VR and the Samsung Gear VR have made their way to store shelves, entertaining a new generation of consumers. Popular consumer brands have also started using VR on public experiential platforms. Entire venues centred on VR are a primary attraction, such as the VR Park at The Dubai Mall. Whether it’s helping medical professionals to hone their skills, or transporting the intrepid at heart to the rainforests of Indonesia, the technology’s versatility is such that the very question of accessibility — now much easier than ever before — is being rapidly redefined. While mass adoption of VR is not a reality yet, with only a small body of consumers, enterprises and government organisations currently using it on a frequent basis, VR has enabled new forms of storytelling. In addition to product-focused campaigns and entertainment, the technology opens the door to possibilities for philanthropic organisations and brands looking to effect social change. By subjecting viewers and audiences to remote environments or unfamiliar situations, VR can break down barriers to awareness and, thus, help build bridges, emotional connections and empathy. For instance, let us assume that an organisation wants to emphasise the plight of residents in a farming village in India or workers in a factory in Vietnam. What better way to create awareness and compassion than by leveraging VR technology to not only replicate their day-to-day experience, but to also relay that experiential journey to audiences around the world. One of the most acclaimed instances of VR being used for social good is the work being done by UNVR (United Nations Virtual Reality), an initiative of the United Nations that aims to highlight the world’s most pressing issues, and to bridge the gap between people being affected and decision-makers who are in a position to make a difference. The last few years alone have seen several VR films created by the UNVR, presenting various scenarios from the point of view of an affected protagonist. One example is Clouds Over Sidra, which provides a peek into the Za’atari Refugee Camp in Jordan through the eyes of 12-year-old Sidra, a resident of the camp. To date, the film has been translated into 15 languages and screened in 40 countries worldwide. In 2016, in a bid to dispel social myths and to prove that a migraine is more than just a headache, Excedrin provided a simulated experience to users through VR technology, giving them a first-hand look at the ordeal faced by migraine sufferers on a daily basis. Symptoms such as blurry vision and flashing lights were presented with startling accuracy, thus driving social empathy for migraine sufferers who are often misunderstood by friends and family. That same year, Dell, striving to showcase complete transparency in its supply chain, produced a series of 360-degree VR films that gave their target customers virtual access to one of their manufacturing facilities in China. The list goes on and these examples are just the tip when it comes to demonstrating how VR has increasingly become an agent of social change. For brands and agencies alike, driving action that is impactful and capable of shifting the needle often entails disrupting the status quo, discarding tried-and-tested methods and trying novel ways to reach their audiences. In the current environment, organisations face new challenges in educating audiences on a range of complex issues. This makes it more imperative than ever to build immediate and deep connections with customers, employees, investors and other key stakeholders, to catalyse change. This is where VR, through immersive storytelling, provides promising applications. As a society, we have now progressed beyond the point where a mere mention of the term ‘VR’ should simply conjure up images of adolescents plugged into a fantasy gaming environment. Virtual reality has the potential to completely remove borders and disseminate new narratives. It holds great promise for educational campaigns that convey values to attract attention, and can help organisations elicit wide-scale action by societal stakeholders. At this time, the phrase “put yourself in their shoes” has probably never been more apt. — Adnan Bashir is a marketing communications professional based in Canada.